Dealing with the aftermath of an injury incident in which you weren’t at fault? You shouldn’t battle the insurance giants and powerful corporations fighting against you alone. Turn to a proven personal injury lawyer for aggressive legal backup. Throughout the years we’ve represented injury victims, The Price Law Firm has recovered over $50M on behalf of the injured. Our attorneys are equipped with the insight and ability to handle the most complex legal matters, including motor vehicle accident and catastrophic injury cases. We serve to protect and uphold the best interests of victims injured by someone else’s negligence. Founding attorney Bill Price is a seasoned legal veteran of the Alabama and Florida courts. Backed by over a decade of trial experience, our skilled team knows the ins and outs of personal injury law. We take new cases with the #1 goal to pursue the optimum recovery our clients deserve. Extremely passionate about standing up for the injured and championing their causes, you can trust us to keep your best interests in mind. We have now opened our Fort Worth Texas Law Office – focusing on Personal Injury lawsuits and bankruptcy cases. Discuss your personal injury matters with an insightful attorney before speaking with the insurance company. Our well-versed attorneys are highly skilled in their legal abilities, capable of executing a variety of personal injury matters. WHAT MAKES THE PRICE LAW FIRM DIFFERENT? We put extreme commitment towards every case. We treat you like we treat our family. We provide our consultations free of charge. We’re a team of seasoned trial attorneys. We strongly pursue optimum recovery for our clients. We keep you involved in every step. We thoroughly prepare for cases as if we’re getting ready for trial, just as a soldier recons the turf upon which he expects the battle to take place. To receive the best grasp of our clients’ circumstances, we deem it necessary to investigate the scene where their accident occurred. This equips us with the legal weapons to fight the insurance companies and corporations. At The Price Law Firm, our clients come first. The extreme attention to detail delivered proves our dedication and commitment towards each case. Expect to be treated like family when you turn to our firm. We devote ourselves to providing you with the individualized representation and personal care for your case. We prioritize keeping our clients involved every step of the way. When they feel the need to address their questions and concerns about their legal matters, our compassionate attorneys are there to be a listening ear. Let The Price Law Firm pursue justice and maximum compensation for your personal injury case. 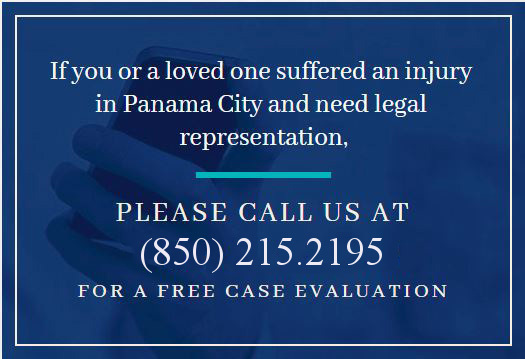 Contact 850.215.2195 to schedule a free case evaluation.